John Dingell's life honored with services in Michigan, Washington D.C.
Former Congressman John Dingell was remembered in both Michigan and Washington on Tuesday as a witty, approachable and resolute lawmaker who leaves a massive political legacy. Dingell was the nation’s longest-serving congressman, serving parts of suburban Detroit for nearly six decades. He died last week at age 92. His wife, Debbie Dingell, now holds that seat in the U.S. House. A scene outside John Dingell's funeral at Church of the Divine Child in Dearborn. Dingell will be honored with another funeral mass in Washington on Thursday. Early Tuesday afternoon, Dingell was celebrated at a traditional Catholic funeral mass at the Church of the Divine Child in his hometown of Dearborn. The service was capped by a eulogy from former Vice President Joe Biden. Biden remembered Dingell as one of a few congressional colleagues he genuinely looked up to. “Why did I like him so much? I think it’s because I knew he knew me. He gave me confidence. He made me believe more in myself than I had,” said Biden. Biden said Dingell’s persona could be summed up in one word. Biden also went through a list of Dingell’s legislative accomplishments: shepherding the creation of Medicare, pushing for the Civil Rights Act, and spearheading landmark environmental legislation like the Clean Water Act. “The list of John’s achievements is literally, not figuratively, like leading the list of America’s proudest moments in the last seven decades,” Biden said. Michigan Republican Congressman Fred Upton and Georgia Democratic Congressman John Lewis were also supposed to give eulogies at Dingell’s funeral. However, the flight carrying a congressional delegation to Michigan couldn’t land because of icy weather, so Biden was the sole speaker. 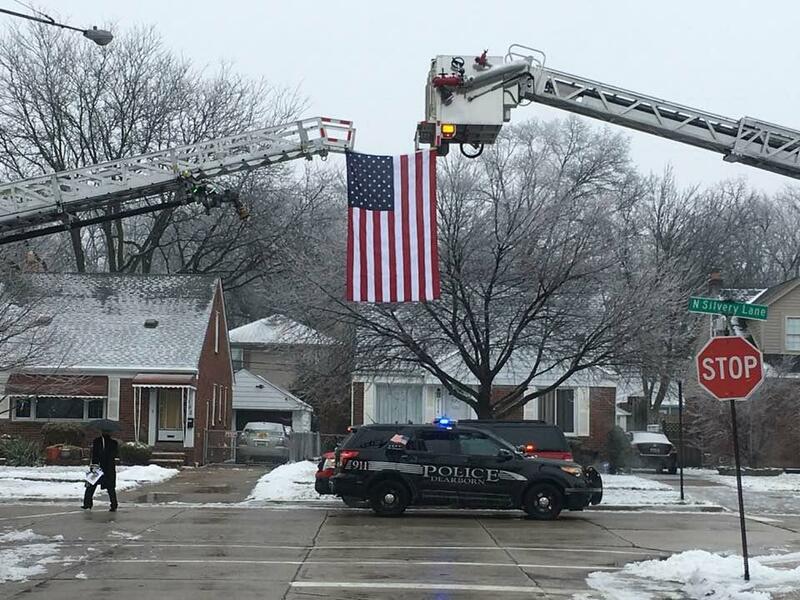 After the Dearborn funeral, Dingell’s body was taken to Washington, D.C., where he was honored with a processional on Capitol Hill late Tuesday afternoon. Another funeral mass at Washington’s Holy Trinity Catholic Church is scheduled for Thursday. After that, Dingell will be buried at Arlington National Cemetery. Today on Stateside, Congressman John Dingell passed away Thursday. Two of his longtime friends from across the aisle, U.S. Rep. Fred Upton and Detroit News columnist Nolan Finley, reflect on the legacy of “the Dean.” Plus, Republicans push back against Governor Gretchen Whitmer’s attempts to restructure the Michigan Department of Environmental Quality. And we end the week with a cocktail that sounds like spring, but tastes like winter citrus. As Michiganders and the country mourn the loss of former Michigan Congressman John Dingell, we wanted to take a look back at some of the greatest missives from the prolific tweeter. Dingell didn't use his Twitter feed just to comment on politics. He also weighed in on Michigan sports teams (specifically his love for the University of Michigan), joked about his age, made some sick burns, and weighed in on current events.